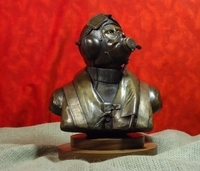 The pilot wears a set of AN-6530 goggles, B-6 helmet, A-10A oxygen mask and B-3 flight jacket. 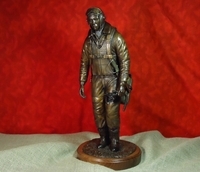 �Vigilance� is an early United States Army Air Force crew member keeping watch for possible danger or difficulties. 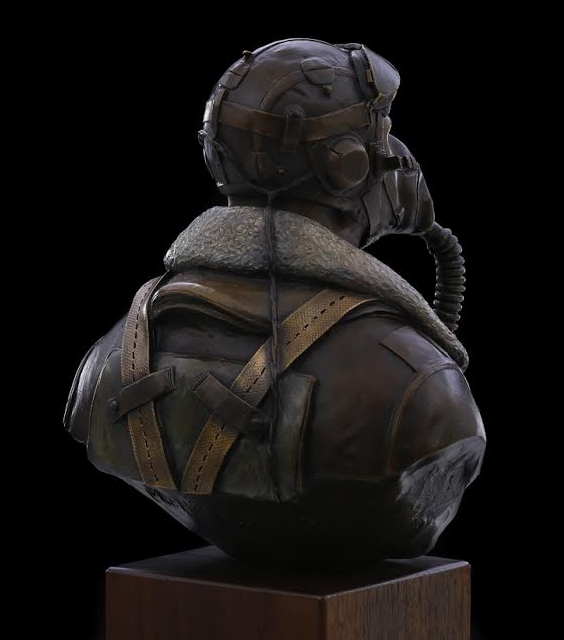 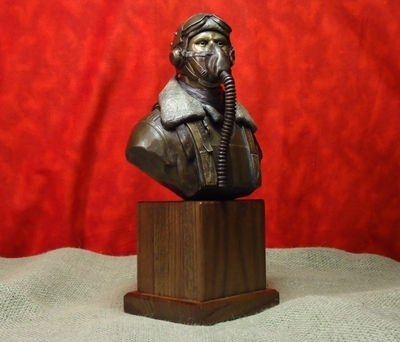 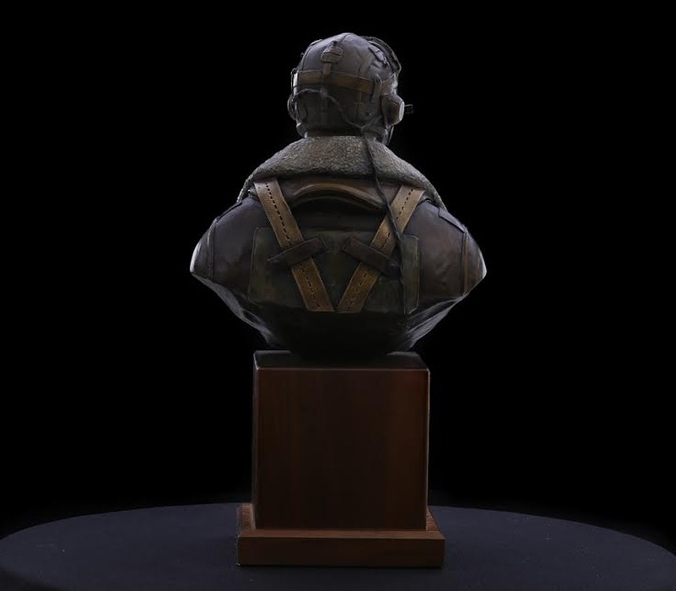 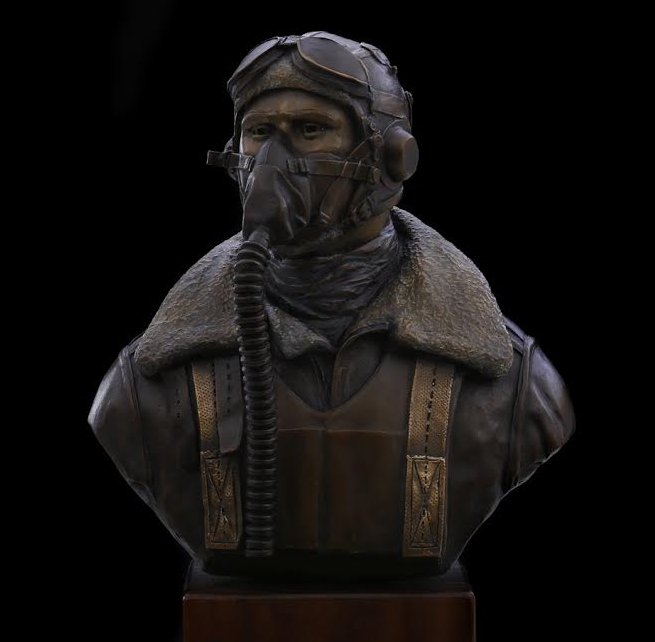 "Vigilance", along with the artist's "Bandits 10 O'clock High" , and "Tuskegee Airman, Struggle for Victory" are currently on display with the American Society of Aviation Artists 2014 international art exhibit at the San Diego Air Museum.